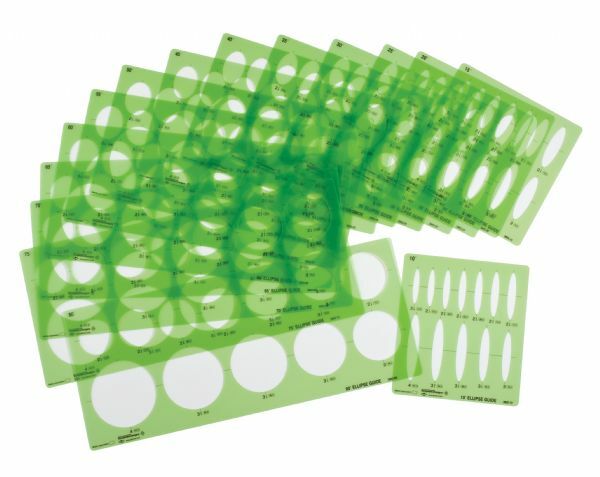 Set of 15 ellipse templates from 10° through 80°. * Use for drawing ellipses from 2 1/8" to 4". 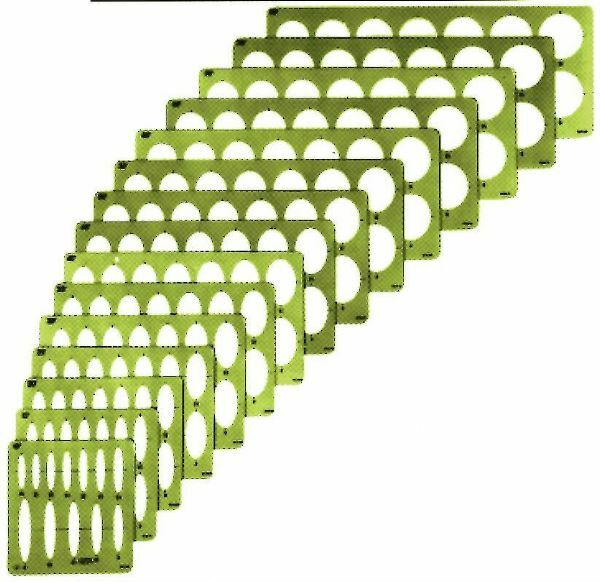 * Templates have 12 cutouts each. * Templates have precision-milled cutouts with screen-printed markings and graduations. * Pencil allowance on all openings for 0.5mm pencil lead. * Non-glare odor-free flexible and durable 0.030" thick translucent plastic. The scale is 2 1/8" - 4". Scale: 2 1/8" - 4"
8" x 3.75" x 0.12"